Smart marketers know they need to learn, grow, and challenge themselves to succeed. It’s no different with the Oracle Marketing Cloud. Learning advanced capabilities for seasoned marketers – or navigating the platform for newbies to the technology – increases technical knowledge, analytical skills, and business savvy. That’s why you need an experienced team on your side. Our consultants have executed hundreds of Oracle Eloqua and Responsys campaigns, built countless custom objects and segments. Through our custom Oracle Eloqua training and Responsys training workshops, we’re passing on our knowledge to administrators, users and developers. What makes our trainings different is our people. You get two experts with complementary skills sets to guide you through training. You also only learn relevant and helpful information for your skill level (and your business). We customize the bootcamp to focus on specific areas of interest. You walk away with actionable items you can immediately implement to practically improve your marketing automation. Before the bootcamp, our consultants meet with your team. We iron out the details of how you’re using Oracle Eloqua and/or Oracle Responsys and what your knowledge pain points and gaps are. This helps us prepare appropriate use cases to help your team apply the information we present and get the most from the trainings. Bootcamp lasts two to three days. It’s a hands-on training that includes demonstrations and practice time. It’s led by two of our consultants: a solutions consultant and a solutions architect. The former is a practical expert, an experienced modern marketer like you who’s hands-on in Oracle Marketing Cloud daily. The latter is a technical expert, guiding you through integrations, coding, branding, deliverability and other technical aspects. We know processing everything you learned in a few days and then implementing it doesn’t happen in a snap. We’ll meet multiple times in the weeks following your on-site to answer questions and review guided practices. 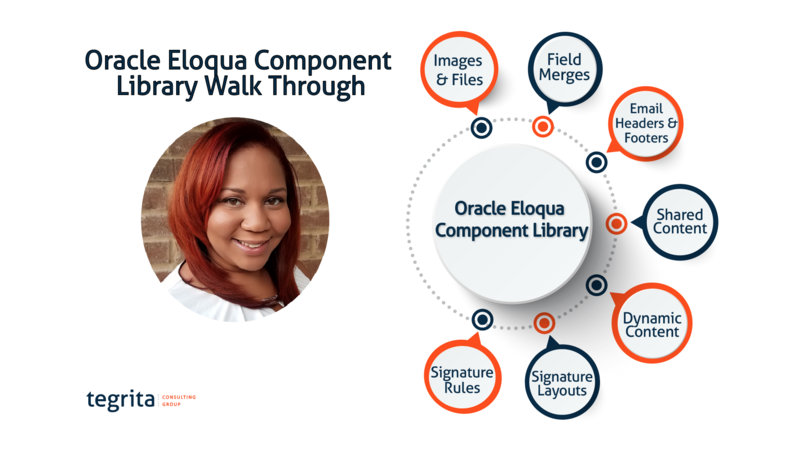 The Oracle Eloqua component library allows you to store shared components that can be used in your emails, landing pages, and forms. Watch as we walk through a brief demo of Images and Files, Field Merges, Shared Content, Dynamic Content, Signature Layouts, and Signature Rules. Take advantage of our custom Oracle Eloqua or Responsys bootcamps today!